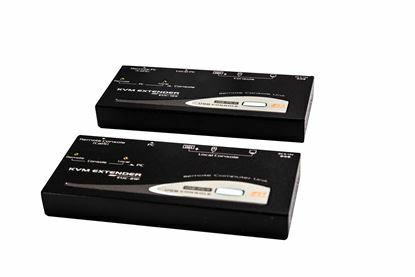 REXTRON Console Extender Allows VGA mouse & keyboard signals to be REXTRON Console Extender Allows VGA mouse & keyboard signals to be extended up to 150m using Cat5 UTP/STP cable. PS2 console ports on the units, supplied with 2-to-1 USB/VGA 1.8m cables. Black Colour. REXTRON Console Extender Allows VGA mouse & keyboard signals to be REXTRON Console Extender Allows VGA mouse & keyboard signals to be extended up to 150m using Cat6 UTP/STP Cable. USB console ports on units, supplied with 2-to-1 USB/ VGA 1.8m cables. Black Colour. 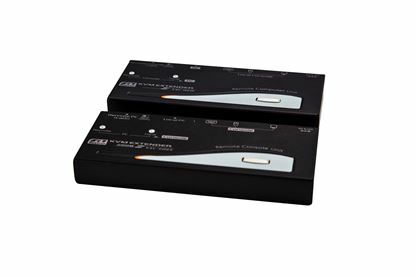 REXTRON Console Extender Allows VGA mouse & keyboard signals to be REXTRON Console Extender Allows VGA mouse & keyboard signals to be extended up to 200m using Cat7 UTP/STP Cable. USB console ports on units, supplied with 2-to-1 USB/ VGA 1.8m cables. Black Colour. 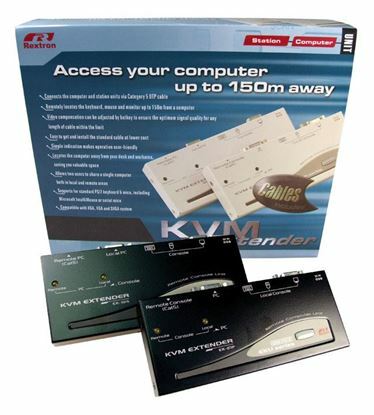 REXTRON Dual View KVM Extender Allows VGA, mouse & keyboard REXTRON Dual View KVM Extender Allows VGA, mouse & keyboard signals to be extended up to 200m using Cat5 UTP/STP Cable. Black Colour. REXTRON VGA Extender over 100Mbps LAN. Support Full HD 1920x1080. 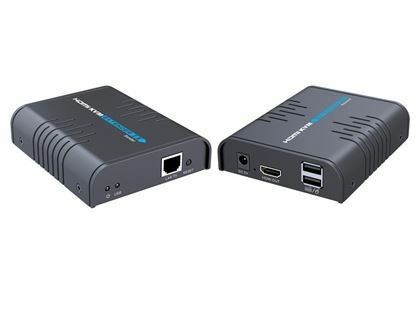 REXTRON VGA Extender over 100Mbps LAN. Support Full HD 1920x1080. 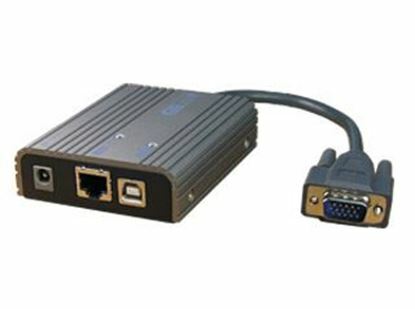 Connects up to 4x receivers from 1x source player Ethernet port.